Colorado Springs » Blog » Current Event » 911 Restoration Colorado Springs Opens! 911 Restoration Colorado Springs Opens! 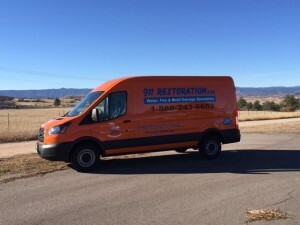 We have opened a new branch of his water damage restoration business, 911 Restoration Colorado Springs. He began is foray into the restoration industry with 911 Restoration Rocky Mountains. This was meant to service the communities around Denver, Colorado with professional and customer-centric water removal, fire damage repair, and mold remediation services. As he helped an increasing amount of homeowners return their houses to the beautiful state they were in before floods, fires, and fungus took their toll, he started to look at how else he could help the community. He is proud to announce the addition of 911 Restoration Colorado Springs as a new hub of disaster restoration. From here he can retain his promise of a 45 minutes or less response time and same day service.